"My dad gave me this recipe, and every time I make it I have people begging me for the recipe." Whisk the paprika, garlic, Italian seasoning, lemon juice, olive oil, pepper, basil, and brown sugar together in a bowl until thoroughly blended. Stir in the shrimp, and toss to evenly coat with the marinade. Cover and refrigerate at least 2 hours, turning once. 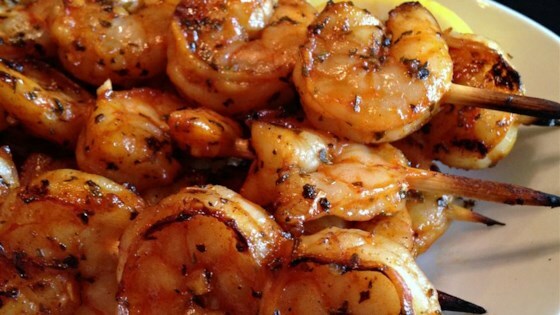 Remove shrimp from marinade, drain excess, and discard marinade. Place shrimp on preheated grill and cook, turning once, until opaque in the center, 5 to 6 minutes. Serve immediately. Wow, this recipe is fantastic! I followed it to a tee and couldn't have expected better. Thanks for this great recipe.